Vehicle rental and leasing specialist Autohorn has strengthened its customer fleet with an order for more than 60 new Toyota cars. 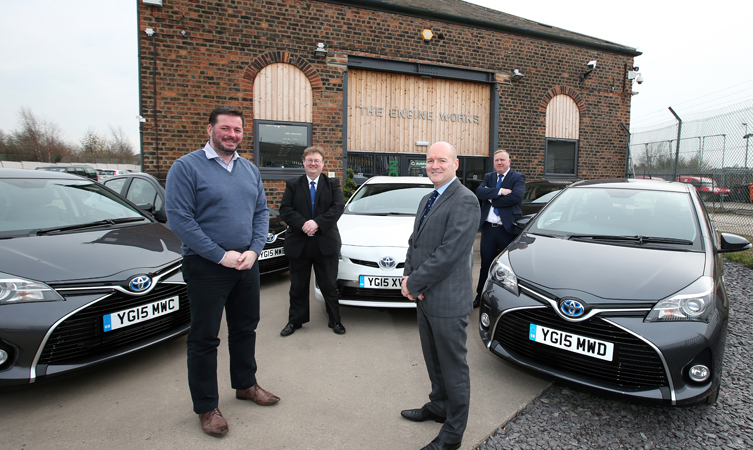 The York-based business, a well-established Toyota customer, is taking delivery of a wide range of cars, extending from the compact Aygo to the go-anywhere Hilux Invincible and advanced Prius Plug-in hybrid. The deal is the latest in a successful relationship between Autohorn and the business team at Vantage Toyota York. Lee Underwood, Autohorn’s Managing Director, said: “Our experience with Toyota vehicles has shown them to be reliable, hard-wearing and attractive to our customers. We are pleased to extend our range with these new models, in particular Yaris Hybrid and, for the first time, Prius Plug-in. Glen Ramskill, Centre Principal at Vantage Toyota York, said: “We began working with Autohorn three years ago and have enjoyed an excellent relationship with them, not least because we are two local York businesses committed to giving our customers excellent service. 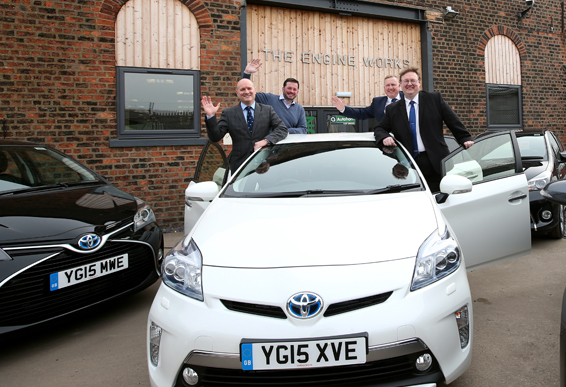 In the past three years Autohorn has bought nearly 200 Toyota hybrids making it one of the largest purchasers of hybrid vehicles in Yorkshire. In all, 64 new cars are being acquired by Autohorn, including 11 Yaris Hybrid, plus additional Yaris diesels and Avensis saloons and wagons, with financing support provided by Toyota Financial Services. Fleet renewal is scheduled every six months. In its 20th year of trading, Autohorn provides a wide range of vehicle rental, leasing and chauffeur services, including short-term car and van leasing. Based by York’s central station, it holds a Europcar car rental franchise.